With Scotland, England and Ireland as its neighbours, Wales can often be overlooked as a golf break destination. 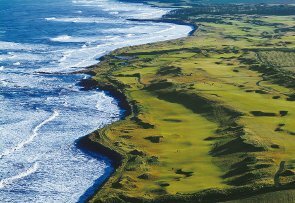 Famous names such as St Andrews, Royal St Georges and Ballybunion rightly grab their fair share of attention from golf holiday makers but that is not to say that the courses in Wales – especially on the South coast – should be overlooked. With a handful of championship venues and a grand collection of lesser known gems to choose from Welsh golf tours are among the best in Europe and here are five of the best golf courses to aim for on your Wales golf break in 2012. Celtic Manor shot to the forefront of golf when it hosted the 2010 Ryder Cup. The biennial match between the USA and Europe was one of the most dramatic and closely fought matches in recent memory and the Twenty Ten Course was the star of the show. 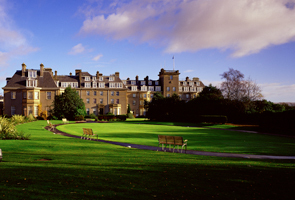 The Twenty Ten was the first – and remains the only – purpose built golf course designed specifically for the Ryder Cup. 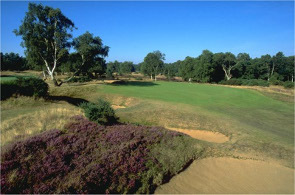 Since the Ryder Cup left town the course has been putting us mere mortals to the test and although it is one of the toughest inland courses in the UK, visiting golfers have had nothing but praise for a course with water on half of the holes, a dramatic amphitheatre-like atmosphere and countless risk versus reward holes where players can play it safe or take the Tiger line. 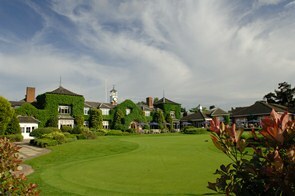 All in all one of the finest new golf courses to have been built in recent memory. One of just two Royal golf courses in Wales, Royal Porthcawl has long been recognised as one of the finest layouts in the UK and yet it remains fairly anonymous compared with the likes of other Royal courses such as Royal Birkdale, Royal St Georges and Royal Liverpool. Since its inception in 1891 and its conversion into an 18 hole course in 1895, Royal Porthcawl has been extensively revamped and modified resulting in the stunning championship test that awaits visiting golfers today. Providing a heady blend of links and heathland elements, Royal Porthcawl offers a challenging and immensely enjoyable test of golf as well as breathtaking views across the Bristol Channel. Although Royal St David’s isn’t the most accessible golf course in Wales, it is certainly worth the trip. 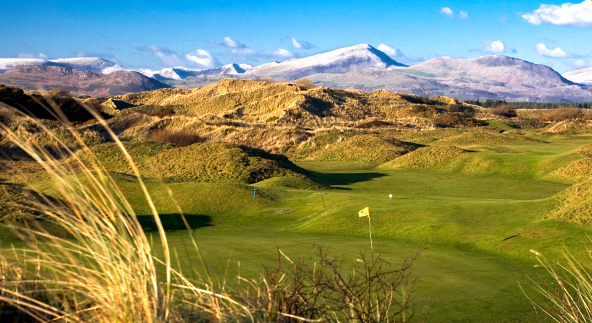 The stunning layout sits in the shadow of the haunting Harlech Castle and the imposing dunes of the links. Measuring a little over 6,500 yards, Royal St David’s isn’t long by modern standards but thanks to a measly par of 69 it is one of the most challenging courses in Wales. Unlike many traditional links courses, Royal St David’s doesn’t follow the nine out and nine back routing. Each hole faces a different direction than the last subjecting each shot to the vagaries of the prevailing westerly wind, making shot selection and club selection tricky to say the least! The magnificent layout at Royal St David’s is supported by stunning views from all over the course of the Bay of Tremedog and Mount Snowdon in the distance. 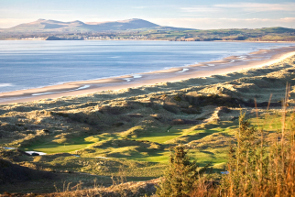 Aberdovey is as traditional links course as you could hope to find and although its 6,700 yardage is long considering when it was built, the course is relatively easy going…as long as the wind doesn’t howl! When it does however, the punishing rough can become a nuisance if you don’t keep your ball in play off the tee. 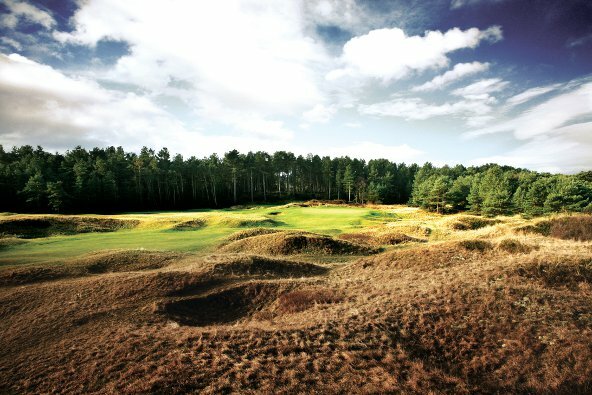 Add pot bunkers, dunes and sweeping undulations to the mix and you have a course that should entertain golfers of all abilities. The quality of the design at Aberdovey is highlighted by the names of some of the architects to have worked on the course including the likes of James Braid and Harry S. Colt, and by the fact that it is regularly chosen to host top amateur tournaments. Sitting in the midst of the Snowdonia National Park, Aberdovey is sure to delight any golfers paying it a visit during a Wales Golf Tour. Nefyn & District is not one of the most talked about golf courses in Wales and thus has most likely slipped under the radar of many a golfer to have played in Wales. 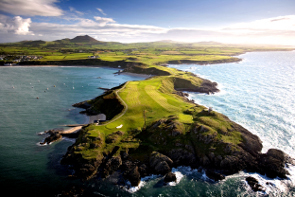 Nefyn’s dramatic location on the cliff tops at the foot of the Porthdinllaen Headland has drawn comparison with the stunning Old Head Links in Ireland. This is golf on the edge of the world in the truest sense of the word and it really gets the golfing juices flowing. 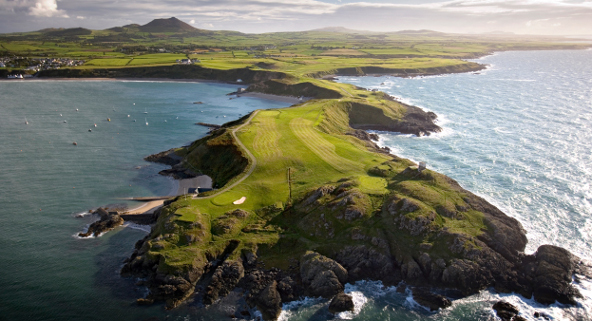 Founded as a nine hole layout in 1907, Nefyn was transformed into an 18 hole course in 1912 and since then has been worked on by J.H.Taylor and James Braid. In its present form Nefyn is an unusual layout with 10 outward holes and two separate loops of 8. The highlight of any round at Nefyn will undoubtedly be holes 12 and 13 which extend into the sea on an intimidatingly narrow promontory and unlike other links courses you can actually see the sea from all over the course and on a clear day you may even spot the peaks of the Wicklow Mountains across the Irish Sea. Print article This entry was posted by Rory on January 30, 2012 at 5:47 pm, and is filed under General. Follow any responses to this post through RSS 2.0. You can leave a response or trackback from your own site. That sounds better than buying a round of drinks in the 19th!